A stunning BRIGHT and SPACIOUS one bedroom FURNISHED apartment in EXCELLENT CONDITION benefiting from PRIVATE BALCONY, located close to River Thames. This contemporary property comprises of one good sized double bedroom, one chic bathroom, a modern fully fitted open plan kitchen and a large beautiful reception area which leads on to private balcony. This excellent property also benefits from a communal roof terrace with breath taking views of the London skyline. 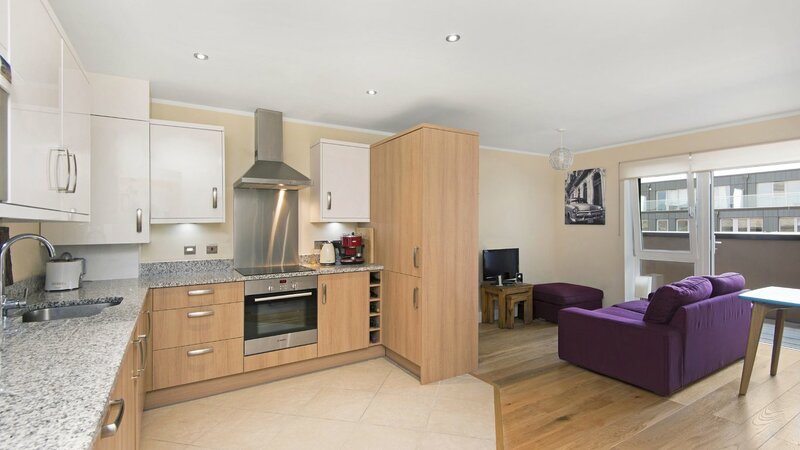 Located close to vast array of eateries, shops, entertainment and other amenities of Wandsworth. York Gardens is located a short walk away.